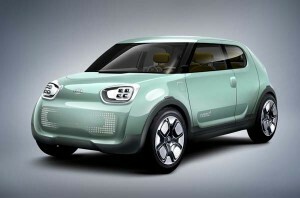 The Kia Naimo electric concept car made its world premiere at the 2011 Seoul Motor Show on March 31, 2011. Naimo is derived from the Korean,word “Ne-mo”, (pronounced ‘Neh-mo’, meaning ‘square shape’). The Naimo is an electric crossover utility vehicle (CUV) and was penned by Kia’s international design team in Seoul. 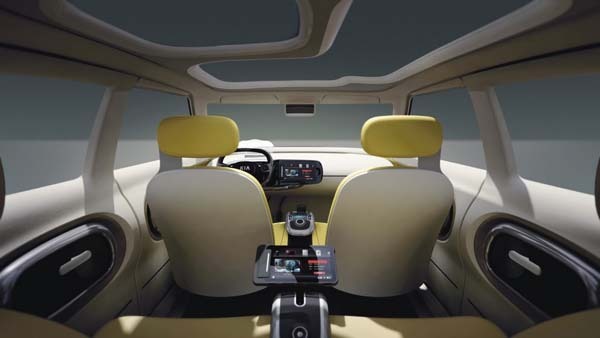 The boxy design features a few striking elements, such as the wraparound windscreen and asymmetric sunroof design, and the front and rear dot-style LED head- and positioning-lamps. 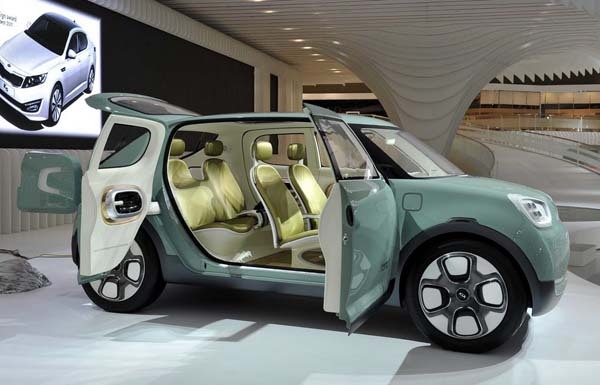 Ensuring that you realize this is only a concept, Kia’s design elected to omit traditional wiper blade on the windshield, instead it uses a high-intensity air jet at the base of the windscreen that performs an ‘air wiper’ function. Conventional door mirrors have also been replaced with miniature cameras installed in the A-pillars. Inside the Naimo Korean oak is used to trim the interior door panels and the entire interior floor, Korean “Han-ji” paper is used for the head lining. 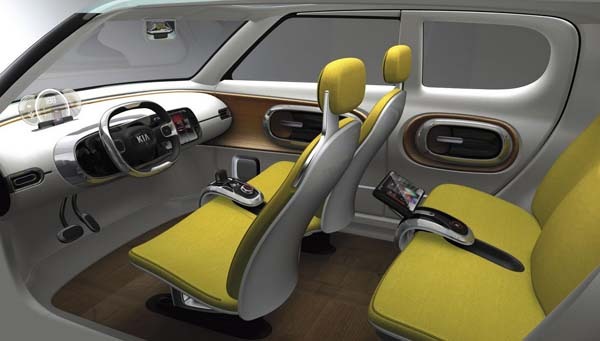 Alongside these traditional elements sit modern features such as a TOLED (transparent organic light emitting diode) display instrument panel and full device connectivity. The Naimo’s wheelbase, width and height (2,647, 1,844 and 1,589 mm respectively) – plus the short overhangs which place a wheel at each corner – ensure that the cabin provides exceptional head, leg and shoulder room for the occupants. On teh technical side, power comes from a PMSM (Permanent Magnet Synchronous Motor) electric motor with a maximum output of 80 kW (109 ps) and maximum torque of 280 Nm, enabling Naimo to reach a top speed of 150 kph (93 mph). A twin-pack 27 kWh battery is located under the trunk floor. The Naimo uses the latest technology LiPoly (Lithium Ion Polymer) batteries that offers numerous advantages over other battery types. 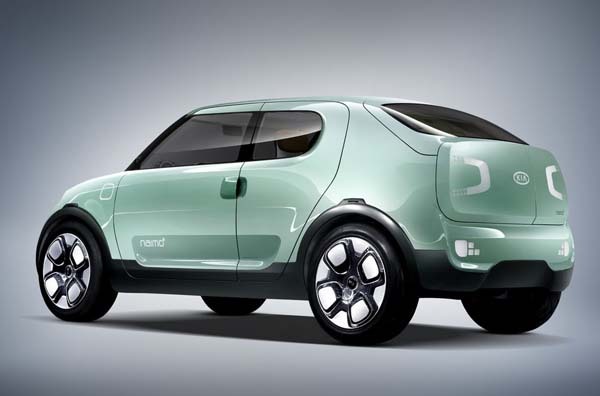 Equipped with this battery, Naimo provides a driving range of 200 km (124 miles) on a single charge. To enhance range, the showcar is fitted with special low-drag 20-inch diameter alloy wheels. 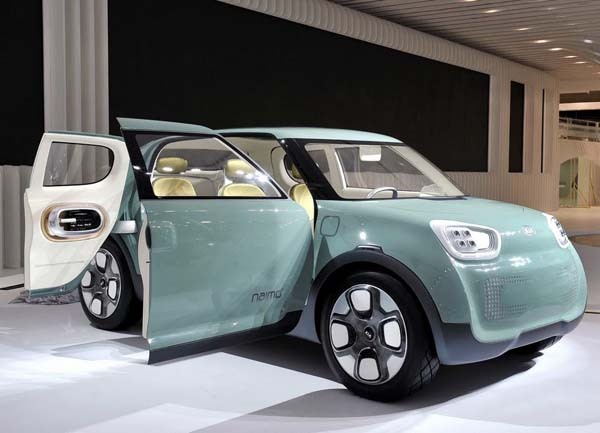 A quick recharging cycle (50 kW) allows the Naimo’s battery to be recharged to 80 percent of its capacity within 25 minutes. Under the normal cycle (3.3 kW), 100 percent power is attained after five and a half hours.